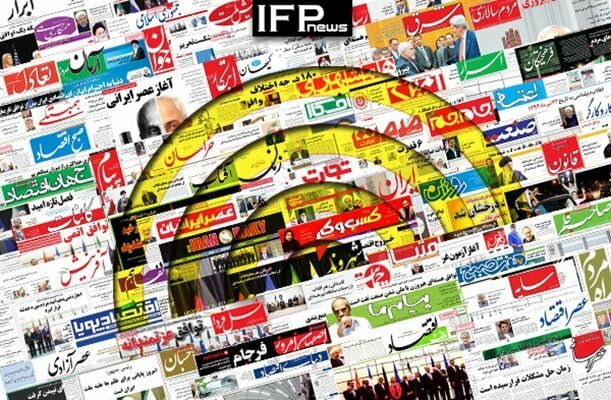 IFP has taken a look at the front pages of Iranian newspapers on Tuesday and picked headlines from 26 them. IFP has simply translated the headlines and does not vouch for their accuracy. Newspapers today covered the funeral ceremony held for the firefighters killed in the recent tragic collapse of Plasco building in Tehran. Thousands of people attended the ceremony to bid farewell to their heroes. The French Foreign Minister’s visit to Tehran amid the European country’s military drills in Persian Gulf, reportedly to exercise countering Iran, was also widely covered today. Another top story was the beginning of the ten-day celebrations of 1979 Islamic Revolution’s anniversary, and President Hassan Rouhani’s remarks in praise of Imam Khomeini, the late founder of the Islamic Republic. US President Donald Trump’s visa ban and Iran’s reactions to the restrictions also received great coverage today. 2- Trump’s Opportunity for Rouhani: What Are Benefits of US President’s Radical Moves for Iran? 1- Judiciary Chief to Trump: Are You Taking Revenge from Muslims for Creation of ISIS?